The Salvage Corps unloading materials. 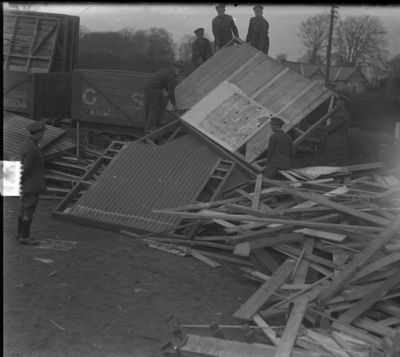 Glass plate negative showing soldiers of the Salvage Corps unloading material salvaged from British Camps which were located in the Wicklow Mountains. Photograph taken at Clondalkin Railway Station sometime between 1922-1923.